I was standing on the Metra train platform, waiting for my 8 o’clock ride to work, when I saw him. He ambled across the double lines of railroad track, facing south, facing me, who faced him and said (too loudly, I’m assuming, because I had earbuds stuck in my ears), “Coyote, COYOTE!” My body was pulled by a lateral gravity to the edge of the platform, even though the headlight of the train was already bearing down on us both. Pausing for a quick check over his shoulder—perhaps setting his internal clock, having just wrapped up a night’s work—he slipped down the embankment into a narrow band of woody shrubs. Meanwhile, a man in a button-down shirt glanced up, startled by my exclamation (his expression indicating something like, “Drinking before work, bub?”). But by the time he swiveled his neck around to follow my transfixed gaze, the city’s trickster, the wild canine ghost of Chicagoland, had melted away. 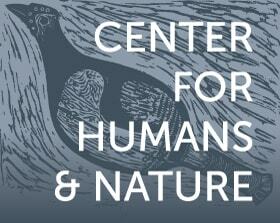 Estimates of Chicago’s coyote population may be harder to find than coyotes themselves. One thing is clear: the numbers are rising. According to a 2011 Tribune article (and the broader research findings upon which it is based), researchers removed 20 coyotes in 1989; in recent years, those figures have been more in the range of 300-400 annual relocations or euthanizations. There’s also a considerable number who are sporting radiocollars. It is safe to say that coyotes are not just on the outermost edges of the city, forced to live exclusively in liminal habitat recently claimed by suburban sprawl. They are in our city centers. Strangely perhaps, coyotes seem to be willingly moving to Chicago. This appears to be a national trend (and a global one, for that matter). There are a number of reasons given for this: prey availability, anthropogenic pressures on non-urban habitat, no hunting and trapping in metropolitan areas, etc. Coyotes are well suited for the task of city living—quintessential adapters, they’ve made a living out of defying human expectations. Stanley Gehrt, who is contributing an essay on urban coyotes in Chicago to the City Creatures book, is a recognized expert on the comings and goings of Chicago’s coyotes. He heads up the largest study of urban coyotes in the world. I attended a Forest Preserve District of Cook County research symposium where Stan showed a video that grabbed the audience, eliciting a wave of chuckles throughout the room. The scene: traffic, a bicyclist, empty fast food joints—an ordinary Chicago intersection at night. Then, into the camera frame, a spry coyote trots casually to the edge of the sidewalk. She waits for the stoplight to turn red. She then crosses the intersection and continues on her way. Just another night on the town. According to Stan, many Chicago coyotes have learned the traffic patterns within their territories. They patrol these boundaries; the ones who have survived have learned to give due deference to the law. Clever. The available statistics reinforce that what we saw on the video was not an isolated incident: rural coyotes, with many more acres to roam and where passing headlights are a much less frequent phenomenon, suffer a comparable number of automobile mortality incidents as their city cousins do. 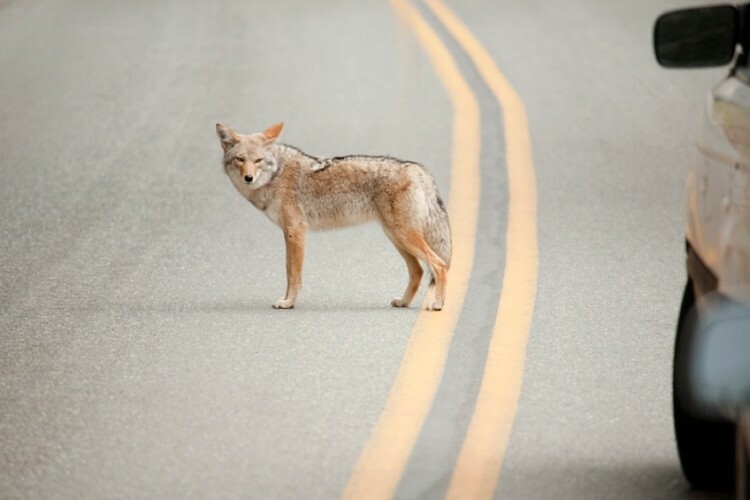 Auto naivety doesn’t serve one well in the city, for any kind of pedestrian, so although death-by-car is the leading cause of mortality for urban coyotes, it appears that many are learning and adapting to the unforgiving ways of the road. When I moved to Chicago, I was aware that coyotes were in the city. To me, it was a welcome surprise more than a shock. While camping in the mountains of New Mexico, I had heard coyote yips and caterwauling surround me in full-stereo sound—eerie squeals, redounding off high desert rock and drawing from me both a smile and an increased pulse rate. A little over a year ago, in our old third-floor Evanston apartment with a window fifty feet from the “L” tracks, I heard what was immediately identifiable as coyote banter. For me in that moment, Chicago had become a New Mexico wilderness. Haraway, I think, was right: our lives are entangled with coyote discourse, and increasingly in the city with actual coyotes’ discourse, who remind us that wildness (in the form of nonhuman agency) moves within urban areas that we often consider solely or mostly human. One of the things these coyote tricksters remind me of is that the boundaries we keep—between the human and the wild—are more mushed together than we previously imagined. I think we’d be better off relinquishing the mastery-of-nature metaphor, as Haraway and others encourage, and instead enter into a cross-species engagement with a world full of such coyote surprises. For now, these notorious tricksters have escaped from their Southwestern myths and go about their business largely undetected, in cities far from Taos and Tucson. Occasionally, a coyote makes a bold appearance in a Midwestern metropolis—a quick trip to a Quizno’s, for instance—and more people find out what is known among coyotes: wildness is part of the city, if you know how to look for it. Keep your eyes and ears open. Or eat a sandwich. Or watch the train tracks.